Highly ornate and with intricate symbology, the Knights of St. John Scroll Guard Dagger is a decorative blade based on the weaponry of the Templar Knights. The beauty of this medieval dagger is shown in its hilt and sheath detail. Made of stainless steel, the traditional dagger shaped blade features a ridge along its spine and has false edges. Curving upwards towards the blade, the antique finish steel guard shows off filigree arms to either side of a detailed crest. The rounded grip is wrapped in high gloss black plastic. Shaped like a knights helmet and made ornate with intricate engraving, the pommel makes this Crusader dagger quite unique. 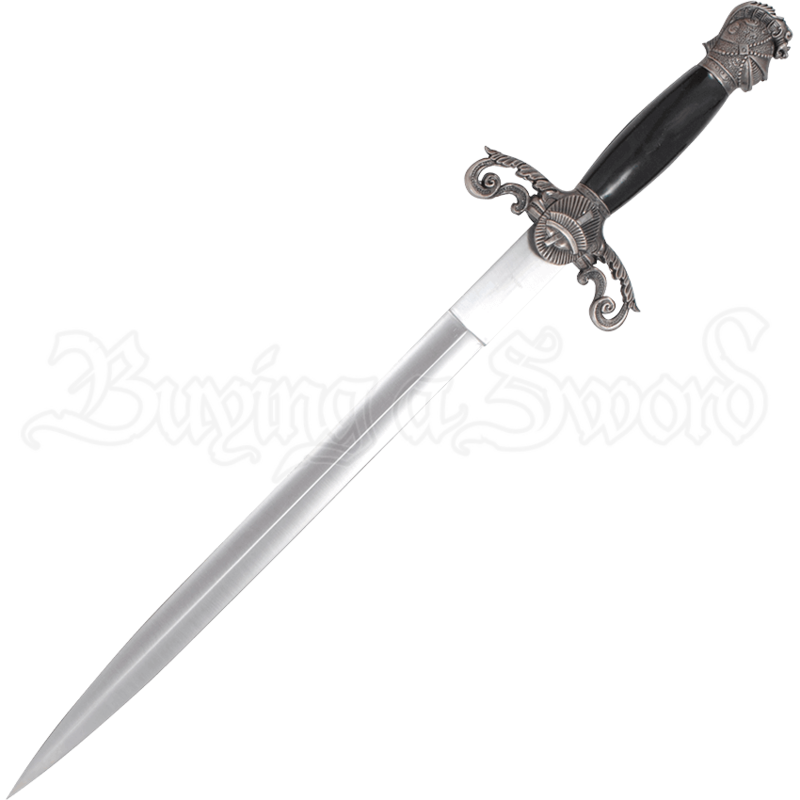 The included sheath is made of hard plastic painted with a high gloss finish, and its end cap and throat are carefully detailed to match the daggers hilt. Whether added to a weapons collection, gifted to a loved one, or used for special ceremonies, the Knights of St. John Scroll Guard Dagger is sure to inspire awe with its ornate beauty.